This is the bread you want baking in your kitchen the ENTIRE month of December. It’s warm and spicy, with just the right sweet notes. The scent alone is worth it, but it is absolutely delicious. During the holiday season you can sometimes find gingerbread instant pudding in grocery stores and big box stores like Walmart or Target, but if you’re making the bread at any other time of the year, you can simply use a box of vanilla pudding mixed with 1 teaspoon ground ginger. What makes this bread so phenomenal is the addition of chopped crystallized ginger and 6 tablespoons of molasses (you can substitute ¾ cup packed dark brown sugar if you can’t find any molasses, or pick up a bottle here). There’s also the usual suspects: cinnamon, cloves, nutmeg. It’s beginning to smell a lot like Christmas, isn’t it? The crystallized ginger becomes soft and tender during baking, so when you take it out of the oven, the warm bread coupled with the soft nuggets of ginger is pretty tantalizing. I made two loaves and they were GONE before people had a chance to go back for seconds. Another fun serving option: cube the bread and top on a bowl of vanilla ice cream. Toast the cubes first if you prefer it a little crunchy. The result is heaven. 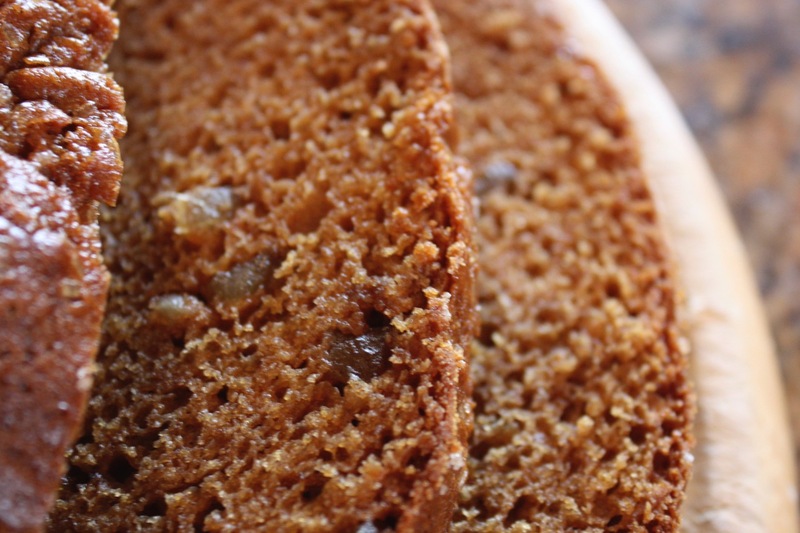 This spicy spin on a holiday classic is one of our favorite Amish Friendship Bread recipes. 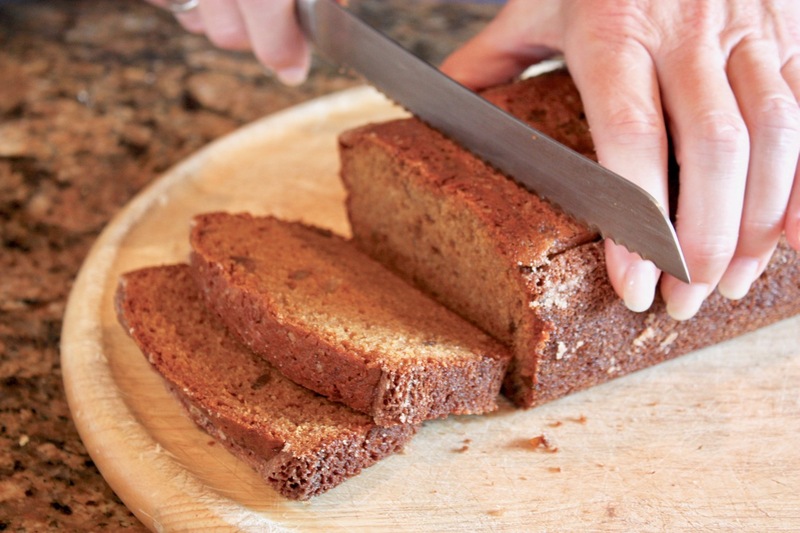 Serve a warm slice of this gingerbread with a dollop of fresh whipped cream. Pour the batter evenly into loaf or cake pans. Top with 2 tablespoons diced crystallized ginger and sugar. 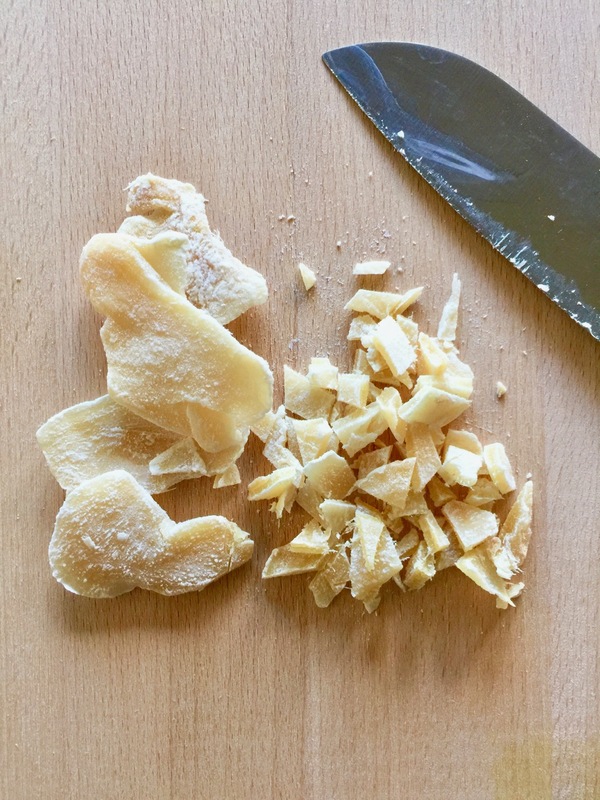 Crystallized ginger is dried chunks of plump, sweetened ginger usually coated in sugar. It has a chewy and crunchy texture and full ginger flavor – very nice. You can usually find it packaged in small bags in specialty/gourmet sections of your grocery store. 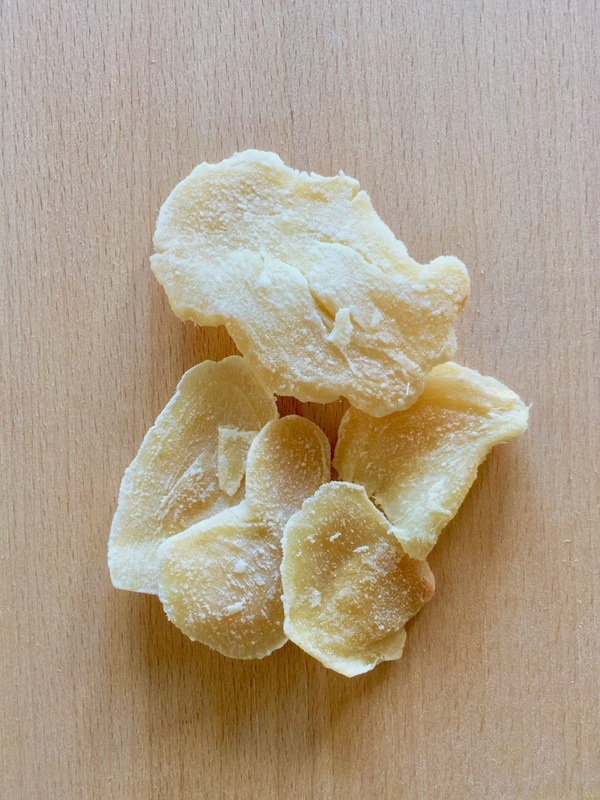 Asian markets also usually carry crystallized ginger. If you’re near a Trader Joe’s, they carry it in the dried fruit section. Hope this helps because that Gingerbread recipe is amazing! So glad I came across this recipe. 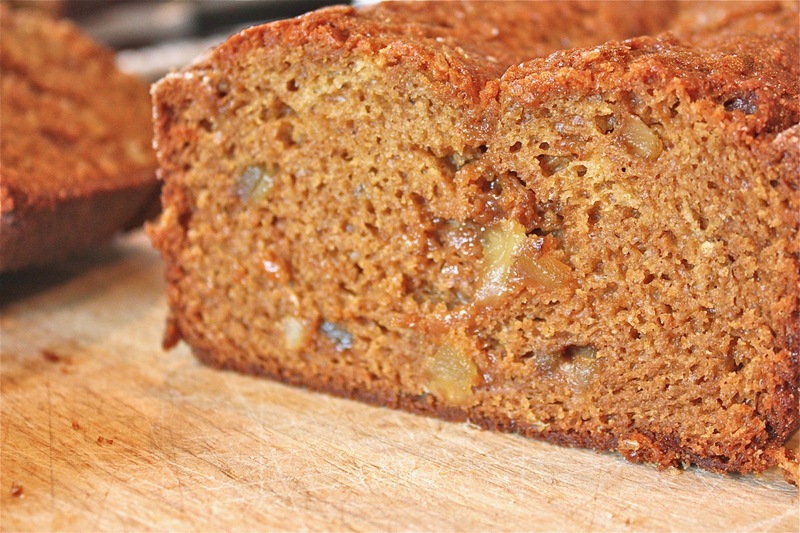 I’m loving making Amish Friendship Bread and recently made Apricot with Ginger which gave me the desire for a gingerbread cake. I was going to wing it, but now have a better guideline. Thank you!! just made this.it turned out awesome. used the gingerbread pudding instead of vanilla. (seasonal item). Just made this today and had my first slice (I love the ends) and it was AMAZING!! This is definitely a keeper and I will be sharing it with my co-workers tomorrow. I forgot to mention that I used two boxes of the gingerbread pudding instead of vanilla as suggested in another post. Good choice. I made this last night and boy does it smell heavenly. The store was out of plain vanilla instant pudding so I used 2 small boxes of French vanilla instant pudding instead. Since I did not have the crystallized ginger I just sprinkled a little of the cinnamon/sugar on top. It was so hard to not dive right in and eat this when it came out of the oven…but I did wait. OH MY…it was delicious. I will definitely make this again and again and again and……YUM!!!! Helpful Hint: The recipe calls for 6 Tablespoons of molasses. 6 Tablespoons equal 1/4 cup plus 2 Tablespoons. I love gingerbread, so this is definitely going to be my holiday bake! This is a great recipe and would look very pretty in the Nordic Ware Pro Cast Bundt Duet Pans. I would make this for 2 gals at work (Linda & Gail) who’s birthdays are coming up. 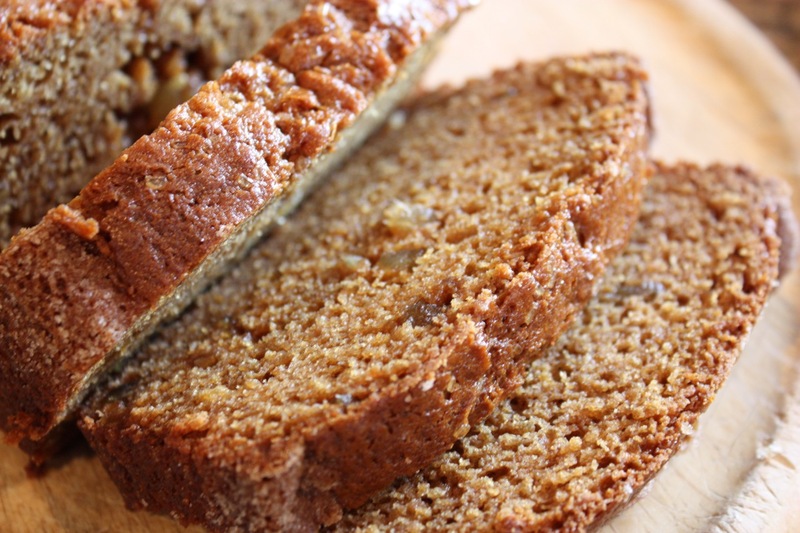 Oh my goodness I had no idea you can make so much from Amish Friendship bread! I am definitely gonna try this recipe for my dad and sister in-law this Christmas! This recipe sounds amazing! I am picking up the ginger tomorrow at Trader Joes and will bake this for Christmas! My sister and my best friend will love this…and so will the rest of my family! I plan to make this bread this weekend. I am a little confused about the pudding. The recipe says 1-2 boxes of pudding. Why the variable amount? Should I use one box or two? Hi Janet! It’s variable because the recipe works with either 1 or 2 boxes — it depends on how flavorful and moist you like your recipe, but if this is your first Amish Friendship Bread variation, start with one small box! Happy baking! Thanks so much for your quick reply. Yes, this is my first time with a variation, so I’ll try it with one box of pudding. I am so excited to have found your site, and look forward to trying many of your recipes. I have an old starter recipe that I got years and years ago…..probably mid 80’s or so. It doesn’t use yeast in the starter or pudding in the bread but I am going to try using it with your recipes. I think it will work just fine. Thanks for all your work on this site. Good morning Darien, I’d be happy to share the recipe I have with you. If you would like to send me your postal address (private, to my email address), I can send it that way. I don’t have a scanner to upload it into the computer. The recipe is on a full page article, and includes some additional old time recipes as well. It is a 28 day process, because it has no added yeast, but the result is quite delicious. Also, I was unable to find the gingerbread pudding called for in this recipe, so I am going to use French Vanilla. The recipe says to mix it with 1t ginger. Is that in addition to the 1t of ginger in the list of ingredients? That seems like quite a bit of ginger. Do I add additional amounts of any of the other spices listed? Hello Janet! Yes the 1 teaspoon is in addition to the recipe. If you feel like it’s too much, you can scale it back to taste. You can mail it to Darien Gee, Friendship Bread Kitchen, PO Box 6886, Kamuela, HI 96743. Thank you — I can’t wait to see it! Enjoy the rest of your Sunday!